At “askdave.ie” we believe that a building project should be a simple and straightforward process from start to finish. With that in mind, we developed a web site to help you get an estimate for your building project and understand the stages involved. With a set of plans, or your own sketch, you can enter the details and we will provide you with an estimated price for your building project, whether extension, new home or commercial build. 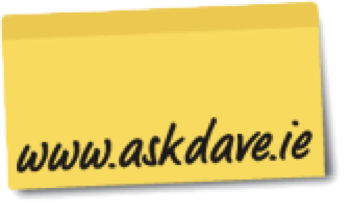 With clarity, simplicity and value in mind we are confident that “askdave.ie” can supply an innovative approach to getting your building work estimated and carried out to the highest standards. To create an estimate you will need a set of drawings, or at least a sketch of each floor so that you can work out the areas and count items such as windows and doors. Our estimating tool uses metric so if you have done your drawing in feet and inches you will have to convert your dimensions using the table provided on our website. It might be helpful to print off a blank estimate first to see all the items we have included, and you can tick them off as you proceed. This innovative website was created by Redbrick Construction Ltd, which was founded by Dave O’Reilly and Paul Byrne who have over 25 years experience in all aspects of the construction industry. The emphasis of the business has always been on high quality work carried out in a speedy and efficient manner. This quality and efficiency has been acknowledged by the large number of projects awarded to the company over the years when quality and time were of the essence. We have built up a team of skilled and experienced tradesmen and suppliers with a proven track record for quality. While the company has grown over the years, the emphasis for Dave and Paul remains unchanged, a quality product, with build efficiency at a competitive price. Over the coming weeks, we will be posting a full summary of projects we have worked on, the problems that were identified and how we overcame the obstacles to provide the client with the desired outcome.